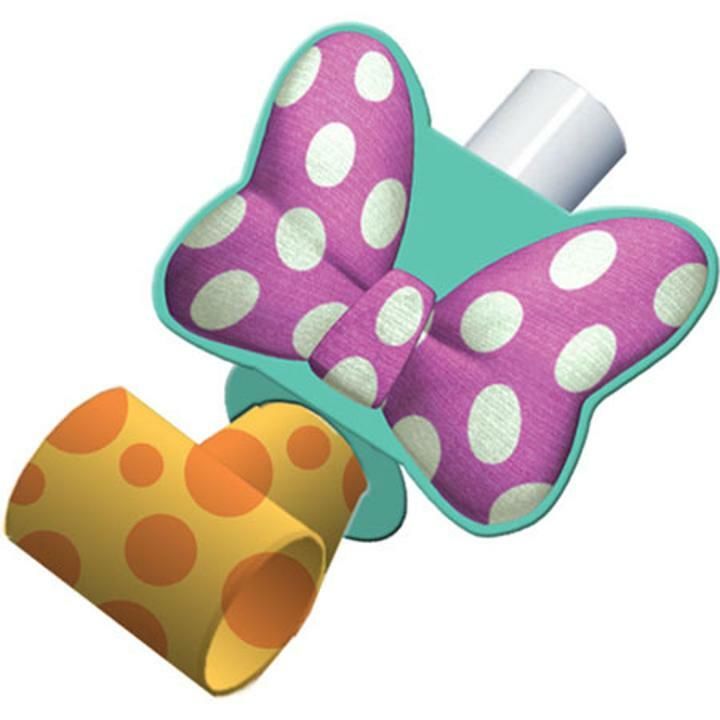 Disney Minnie Mouse bow-shaped blowouts add stylish fun to your little fashionista's party. For girls ages three and up. Each package contains 8 adorable blow outs. Blowouts make the perfect party treat or favor for you Minnie Mouse themed event. This is a licensed Disney product.